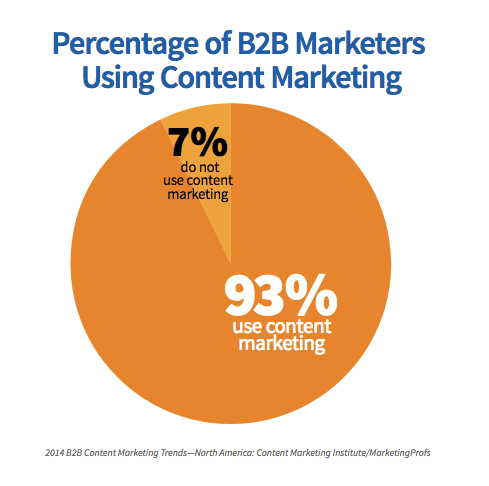 Is content marketing important? Duh! If you’re late to the party, don’t worry. There’s still hope for your business to get into the content marketing game before the competition steals all of your customers. 60% of marketers are creating at least once piece of content a day, and I’m going to show you how, too. But, you’re not going to learn how to create just any boring blog post. You’re going to make epic content that generates leads for your business and drives traffic for years to come. Content marketing is all the craze right now. Every marketer and their mom is doing it. In business terms, it’s the practice of creating valuable content that gets you the attention of potential customers. But, do you know what it really is? Just being a good business. You’re helping people out and not looking for anything in return. Trust me, though. It will come back ten fold. Most consumers trust a brand more that produces regular content that’s tailored to them, and interpret it as you trying to build a real relationship. Consumers also tend to read several pieces of content from a brand before purchasing from them. It makes sense. They want to be able to trust you and see what you’re all about. Think about the last time you purchased something. Did you read any of their content or do some investigating? Most likely! And you know all of that outbound crap you’re doing? It costs 62% more than inbound, and produces 3 times less leads. That means by investing into content marketing, you can start saving money and getting more leads. It’s a no-brainer! 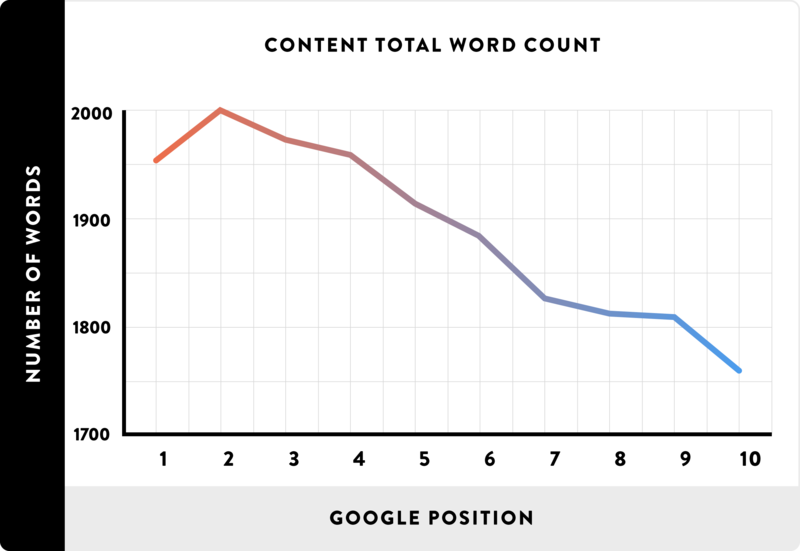 Hubspot found that 1 in 10 blog posts compound over time — steadily driving more traffic. CONTENT IS A REAL BUSINESS ASSET. Don’t forget that! Did it have a funeral? Was there an obituary? As far as I’m concerned, and some of the biggest companies in the world are, content marketing is not dead. As you saw above, 93% of marketers are using it. Heck, do you know who one of the pioneers of content marketing is? You’ll never guess. Yeah, the tractor and farming company. I’m not joking. 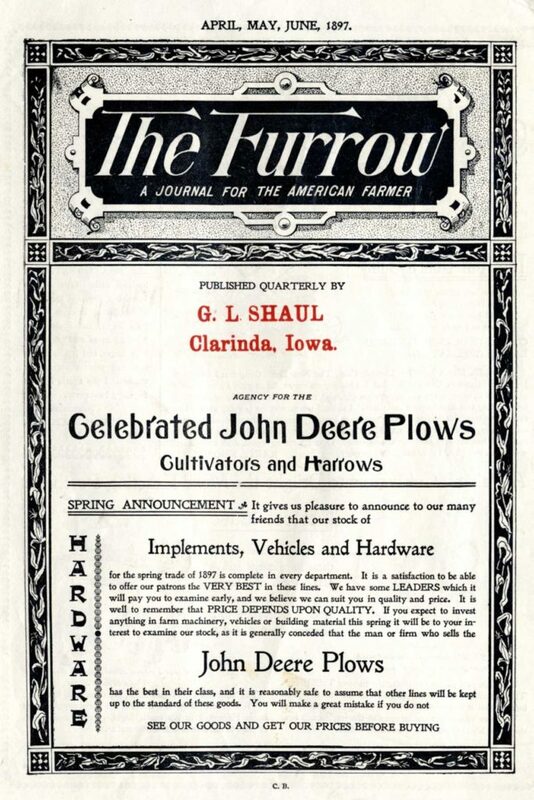 Their magazine, The Furrow, has been running since 1895! Today they reach over 2 million people globally with their magazine. Content marketing is older than your great, great grandfather, and isn’t going away anytime soon. The fact is that consumers are smart. They’re not dummies like a lot of advertisers think. People know when they’re being advertised to and they’re sick of it. That’s why content is so powerful. It allows customers to come to you organically, build trust, and explore your brand without interrupting them with ads. Is content marketing the future? However, many businesses are still late to the party. Are you one of them? If you begin today, you can begin creating content that will grow your business years from now. Think about it. I bet if you snoop your competitors, many of them are producing blog posts, videos, podcasts, or other material. Don’t let them get ahead! No, it’s terrible and you shouldn’t do it. KIDDING. 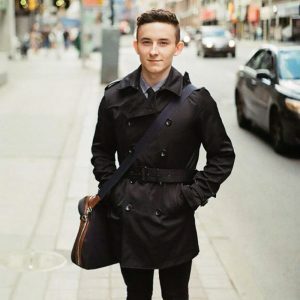 Let’s look at some content marketing case studies. The health information management company Ciox partnered up with Content4Demand to create a content marketing strategy that would generate their business leads. They targeted very specific buyers personas(you’ll be learning about that later), and developed content for every stage of the buying journey. This included infographics, quizzes, videos, Q&A sessions, and other forms of content. Ciox reached almost 1,900 potential leads. They achieved a 42.8% open rate. They received a 14.5% CTR. Imagine if they converted 10% of those 1,900 leads. That’d be 190 new paying clients! Heck, even 5% would still be 95 accounts. Don’t you want that amount of new business, too? That brings us to this case study on the credit and tax company Equifax. They created a campaign involving social media post, blogs, webinars, promotional emails, and other touch points. The main focus were the quarterly webinars they held, which taught viewers about practical economic and credit trends. What did they achieve at the end of the campaign? A 200% increase in the amount of registrations for their webinars. Double the amount of viewers per webinar. 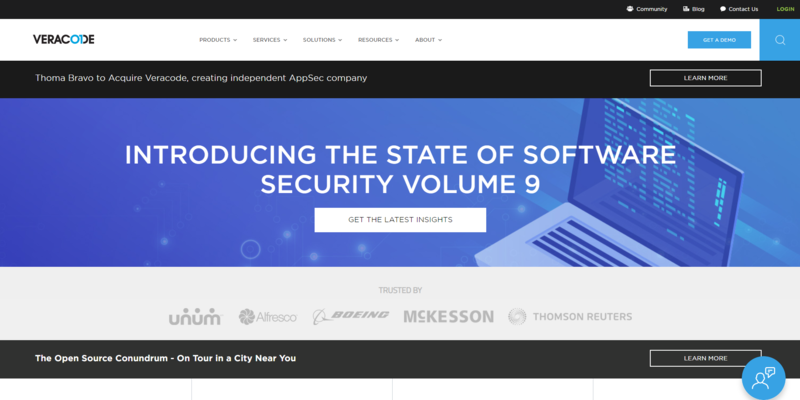 The software security company, Veracode, created a multi step content marketing campaign to generate new clients. They used several different inbound and outbound channels to achieve their goals. They received 4,000 different inquiries. 479 of those became qualified opportunities. THAT’S ALMOST A 50% CONVERSION RATE! If you’re not sold on content marketing, you need a flick to the nose at this point. You develop a personification of your ideal customer. This includes pain points, questions, and interests. You create content around the ideal customers, so you attract only relevant and high quality traffic. 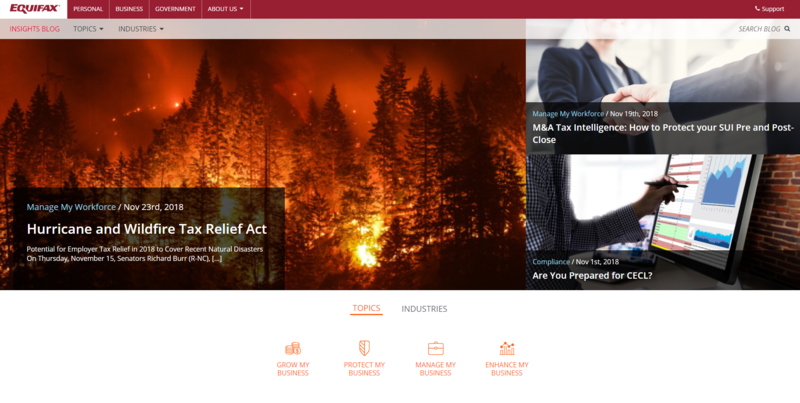 You capture them into a funnel to share your products, services, and other content. Don’t over-think it. It’s as simple as that. Now, I’m going to teach you how to pull off every single step to start getting clients with content marketing. Follow these and I guarantee you’ll get new business without ever having to cold call again. As I was talking about a moment ago, a buyers persona is a personification of your ideal customer. Don’t worry if you don’t have all of the latest data to make a 99% accurate assumption. You can optimize it over time. Using a buyers persona has been proven to make your marketing efforts 2-3x more effective, as well. I don’t know if you target cat store owners, but you get the point! Their challenges, problems, and questions. What values, beliefs, and desires they have. What their goals are in business and life. Demographics, including age, income, education, and alike are also important. BUT, they’re not as important as what I just listed. Knowing how much guap they make won’t change your content too much. However, understanding their questions and pain points will drastically. So, how do you even begin to discover these things? 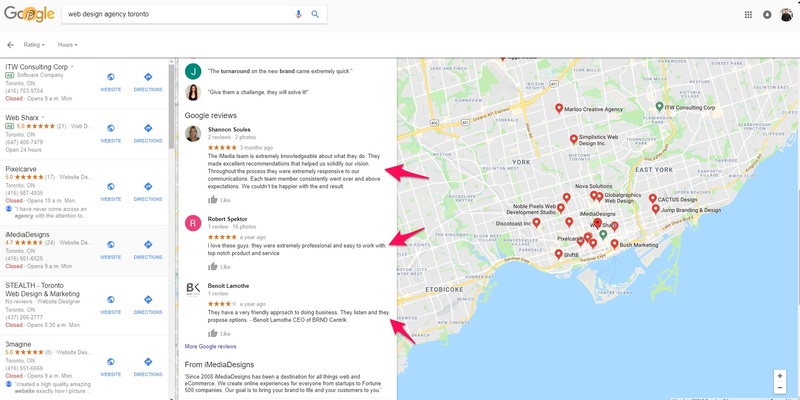 I first recommend scouting your competitors reviews. Reviews are one of the quickest and easiest ways to get into the minds of your ideal customers. Look for competing companies on Yellow Pages, Yelp, Google, and other places. What are they saying? What did they like or didn’t like? Take notes of any patterns or ideas you get. Next, I recommend using your emotional EQ to brainstorm problems your ideal client is facing. I know that sounds woo-woo, but it’s actually common sense. Listen to this 2 minute video from Gary V and you’ll understand what I mean. Are web design agencies worth it? 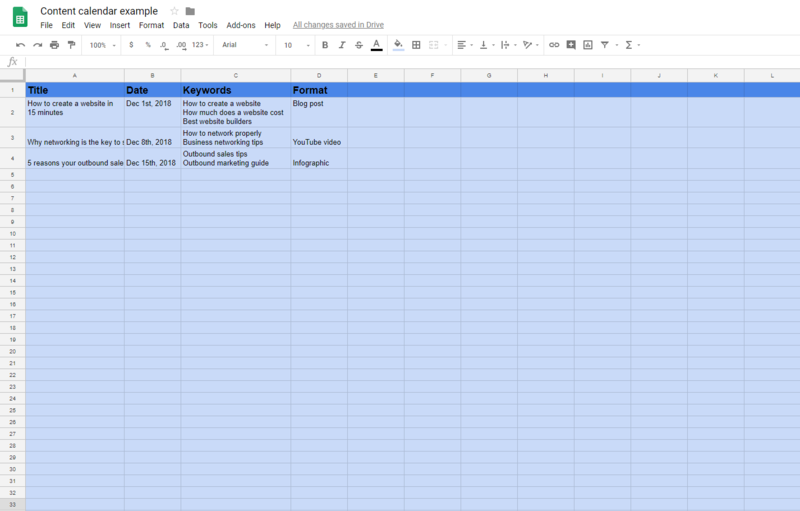 These can serve as keywords you’ll target and ideas for content as a whole, later. Jot them down in Notepad or in a spreadsheet. Then what I’d like you to do is head over to Google Analytics. This will give you plenty of insight into those boring and dull demographics I was talking about. You can also find out their interests, what devices they use the most, and more. Social media, forums, and Reddit are other places I’d recommend analyzing to find more about your customers. All together, you should be able to piece together a basic buyers persona. Over time, you can conduct interviews, send out questionnaires, and use market reports to refine it. A basic one is all you need to begin, though. Let’s get into the second step. Have you ever tried to type up a blog post or other material, and you just sat there staring at a blank screen? You don’t know what to write. You haven’t planned anything out. You’re just winging it like your grade 9 math exam. I’ve been there, too. It’s a terrible way to approach content marketing because you lose time actually creating, there’s no goals, and it makes the whole process difficult. 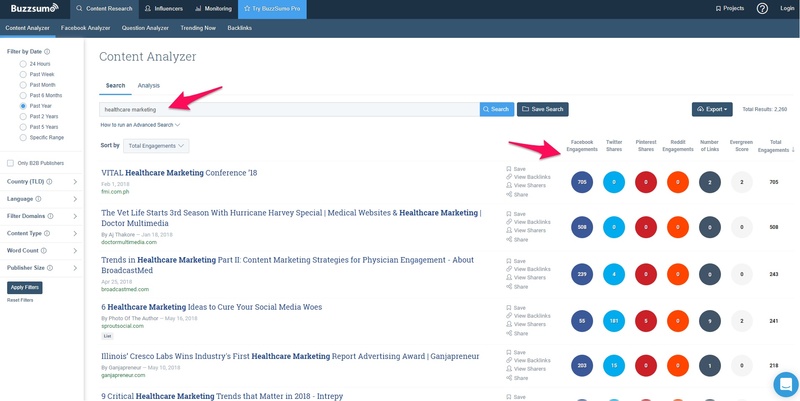 I recommend using the website BuzzSumo to get ideas for trending content in your industry. Type in any keyword and you will be given tons of inspiration. Similarly, I suggest going to your competitors blogs and seeing if any topic ideas stick out. I deplore you to go through the entire first page of results. Don’t just copy their titles, content, or ideas, though. 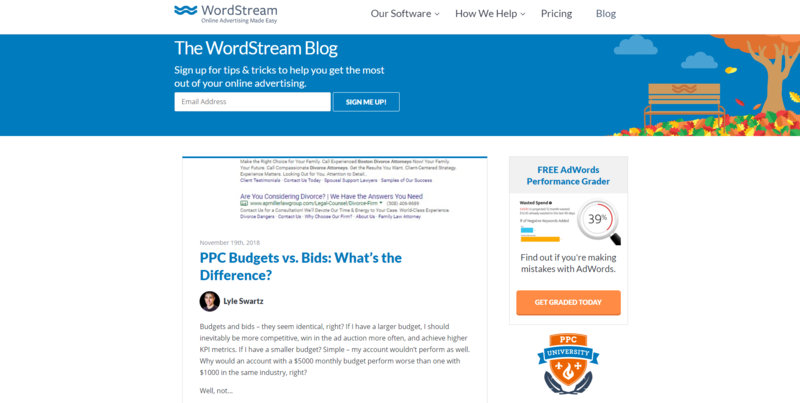 For example, I was taking a look at WordStream’s blog and saw this new post on PPC budget vs bids. I made those up off the top of my head, so don’t judge me! The point is that you should make it into something unique, but use competition for brainstorming. Lastly, here’s where your emotional intelligence and buyers persona research comes into play. 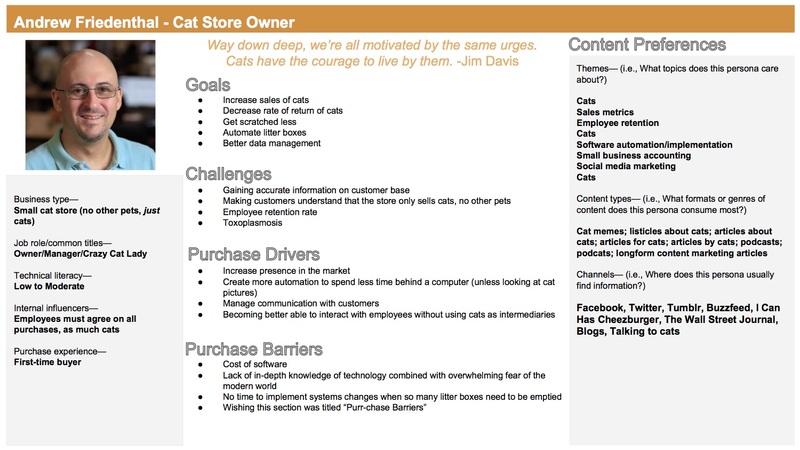 Think about what questions customers would have about relevant topics and form those into their own pieces of content. It’s also wise to use keyword research tools like Neil Patel’s Ubersuggest. You want to use keywords throughout content to increase organic traffic to your website, hence bringing more leads. They can also help you find ideas for topics. With content ideas and keywords in hand, it’s time to get writing! In my experience and opinion, blog posts are the best way to begin content marketing. These will drive traffic to your website and can be repurposed into different formats, which I’ll teach you in a bit. Don’t make the mistake of winging every post. You should flesh out the skeleton of your post so that when you begin writing, you can zoom through faster than Sonic the Hedgehog. You want to break down every major point into headers and subheaders. If you’d like to take it a step further, add resources and references that you’re going to use during these steps. A while back I was reading the copywriting book called Adweek Copywriting Handbook by legendary writer Joseph Sugarman. In the book, Joseph mentioned that copy is mostly emotional, hence why it makes sense to let everything flow out of your fingers without thinking. Because then you’re writing without analyzing with logic. That’s why I recommend just typing and letting everything come out when you first start a blog post. You’re going to edit after, so don’t even concern yourself with spelling errors or grammar — that comes later. Your word count will soar through the roof before you know it. Which by the way, is a huge SEO ranking factor. Backlinko analyzed over 1 million domains and found that the average #1 result to be roughly 1,890 words long. Shoot for that amount, and feel free to go well over. The more words, the more value. Imagine being able to take that completed blog post and reaching more leads without needing to create anything new. That’s the power of repurposing. There are dozens of formats you can transform an article into. The first of which I suggest is a slideshow. Head over to SlidesCarnival to get a free high quality theme. Select a category and a design that you like. Scroll down the page and either download it as a powerpoint file or directly into Google Drive. 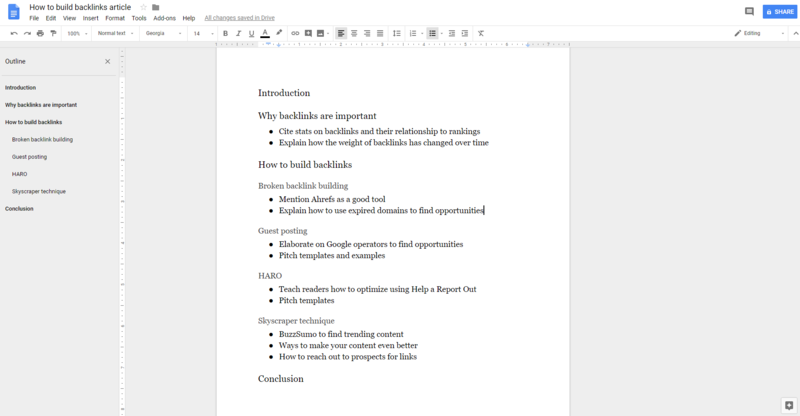 From here, all you have to do is copy and paste your blog content into the slides. Keep hyperlinks as these will help drive traffic back to your site. And I know what you’re thinking. Where do we upload these slideshows when they’re complete? Next, you should turn your blog post into an infographic. This can be placed within the post and shared on several sites. 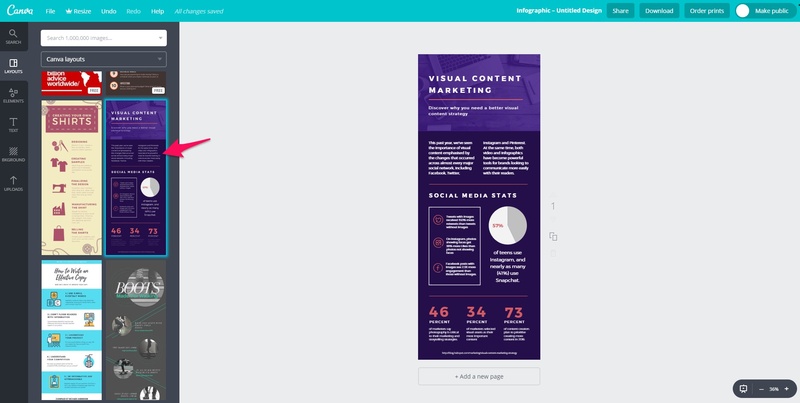 Canva is a free tool that has infographic templates you can work off of as a base. Choose to create a new design and select the infographic option. You can then pick a template to begin crafting your masterpiece. Take the tips and information you shared in your blog post, and include the main points in the graphic. After you’re done, create an account on the sharing platform Visual.ly and post it there. CognitiveSEO wrote a piece on 27 different ways to repurpose content if you need more ideas. You thought we were done. Not yet! Now that you’ve created some epic content in multiple formats, it’s time to get it in front of people. 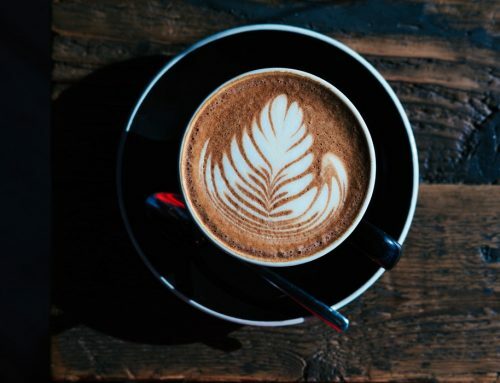 The first thing you should be doing after creating content is promoting it on social media. Linkedin, Twitter, and Facebook will be your go-to sites, but Pinterest, Tumblr, and Instagram can be effective, too. Most importantly, you want to join Linkedin and Facebook groups. Some of these have hundreds of thousands of members you can share posts with. Search for business, marketing, or industry related keywords on Linkedin and filter the results by groups. Request to join as many as you can. I’m a part of a couple dozen that allows me to instantly drive tons of traffic back to my site every time I publish an article. You are collecting emails, right? For every $1 you spend on email marketing, you can expect to earn $32! There are plenty of free email tools you can use to begin collecting subscribers, as well. 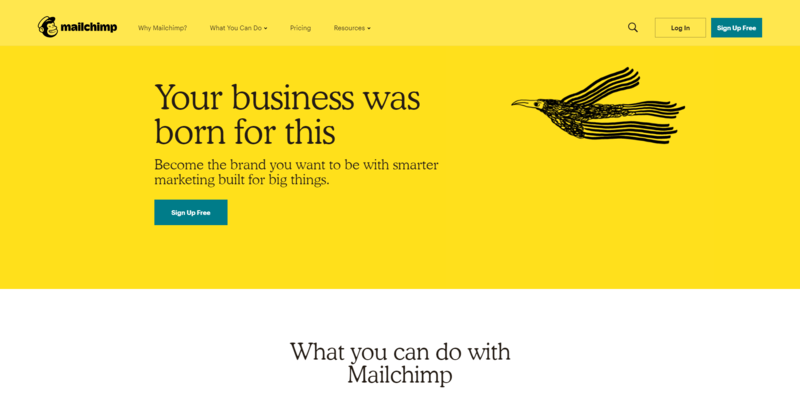 I personally use Mailchimp since it’s free and has loads of features. Sign up for an account from their home page. Choose to create a new campaign, and select the email option. You then need to select a list of subscribers to send it to, create a subject line, design the actual email, etc. This is relatively straight forward and will only take a few minutes. It’s a good idea to use a lead magnet for increasing opt ins on your site, too. This could be a free e-book or cheatsheet, for example. Otherwise, you won’t have anyone to send your emails to! If you’re reading these words, you need to begin content marketing ASAP. It doesn’t matter what industry you’re in, what your budget is, or what you sell. 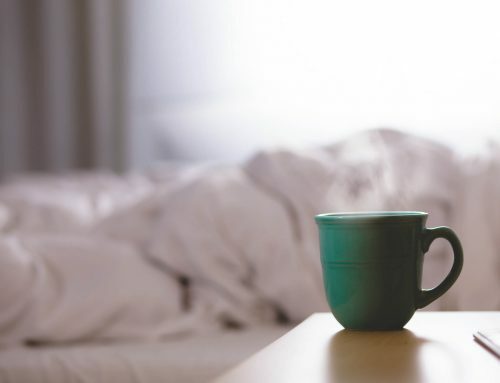 You could be generating leads while you sleep if you follow what you learned in this article. The first step is to develop a buyers persona. As Tim Ferris says, don’t get stuck in analysis paralysis. Save the details for later. Execution is the most important thing to do. Use social media, forums, reviews, and your own emotional intelligence to form an idea of what your ideal customer wants and needs. Then, you want to use tools like Buzzsumo and Ubersuggest to get content and keyword ideas. Take these and place them into a spread sheet to form a content calendar. Crack your knuckles and start producing the actual content after this. Repurpose it into different formats, such as video, audio, or an infographic. Share it on social media and with your email list to create some initial buzz. If you do this continually over time, you WILL see results. It’s all about patience and consistency. So enough reading! Start following the steps I laid out and make some money.